The HydroSilex High Quality Microfiber Towels 10 pack can be used both inside and outside, during various detailing steps! 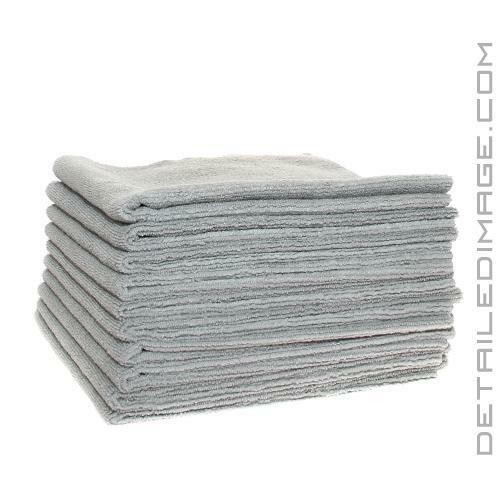 A high-quality microfiber towel may be the most important and often overlooked product in detailing. A low-quality towel can do a poor job removing excess product and can even cause scratching or marring on the paint. With the HydroSilex High Quality Microfiber Towel, you can tackle various detailing steps safely. This towel works fantastic with various HydroSilex products HydroSilex, along with various other products on the interior or exterior of your vehicle. Use it on the trim, glass, bumpers, dashboard, doors, consoles, wheels, seats, etc. Removing excess clay lube, polish, glaze, sealant, waxes and coatings will be safe and extremely easy. You can wash these towels (no fabric softener) and re-use them over and over again. Best yet, these come in a 10 pack, so you will have a bunch of towels on hand at all times. If you are looking for a high quality microfiber towel, check out the HydroSilex High Quality Microfiber Towels 10 pack. Please note: Color of towel varies. These are great towels if you have an existing coating, or to wipe off a freshly applied coating. Thin, yet effective...wipes off coatings or detail spray, no scratches.. soft and edgeless. Bought 3 packs of 10...great bargain!